My name is David Weaver. I am one of the sound designers and lecturer in the Sound Design for Video Games Short Course provided by the Abbey Road Institute. When I work in games, my job is to create and implement sound and voice over that grounds a character in the world of the game and gives clear gameplay feedback to players so they can play at their highest potential. A lot of people are visually-driven, but the sound design has the ability to augment and improve visuals, as well as change them altogether, and so should not be forgotten about. To explain how I go from concept to completion, I’m going to break down what it was like to create sound for a character created from concept art. I’ll walk you through the process of the entire creation, explaining each step so you’ll understand my development process. When developing a voice, and vocal attributes, we start with a concept. In this, both the game development team and the concept art team tries to create a new feeling for the character, one in which their core thematic concepts, drive and motivation sit within a feature and elements of the story. The concept artist then translates this idea into visuals, giving further direction to the artists who do the modelling, texturing, animation and VFX. The team, including art, sound or story, aim to make a faithful recreation of the character on all fronts. Here’s the beasty we’ll be working with today. The sound designer translate this concept art into audio to enhance the work of all the other teams and individuals. This is no small task, and it comes with a lot of trust: we make the animator and VFX artist’s work feel detailed and impactful with the right choices. Conversely, we can make it feel weak and cheap with the incorrect choices. There are multiple interesting elements to this character. Firstly, it has no eyes, so that tells me that sound is incredibly important to this character. The creature can use sound to sense nearby players, so it’ll need some short sounds. Somewhat like a bat, the creature could use sonar to detect the space. 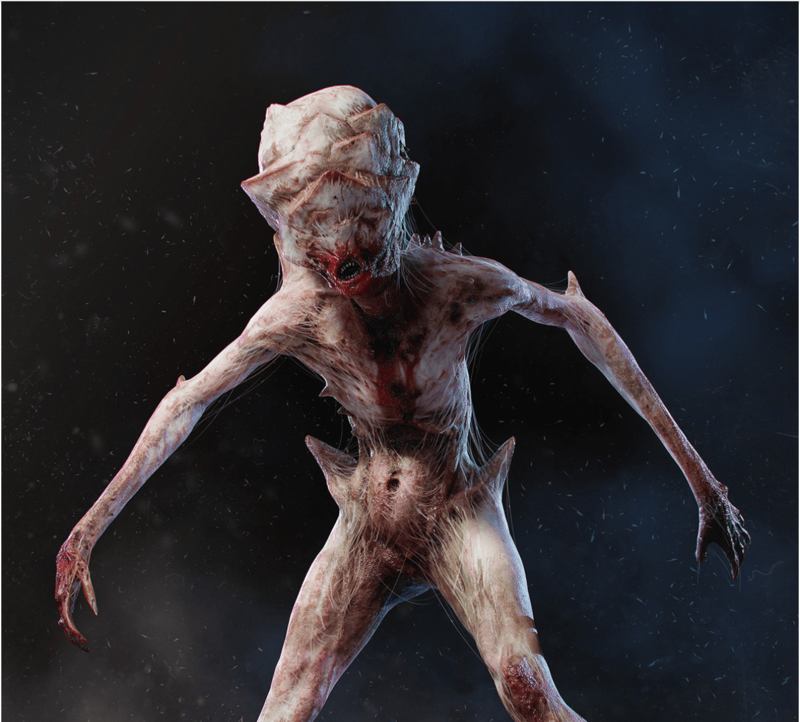 This could be a really interesting sound concept, as it could be a terrifying sound as this creature stumbles around in the dark. The actual sound could emanate from some part of its head, so we could think about the actual motor movements required. When looking at a new character, be it a monster, hero or machine, we always need to think about how this character would ACTUALLY function in the real world. Does it have organs, is it made of bones, or flesh, or something else? When I am creating a new audio identity, I like to start with a blank slate. On some films and games, a sound library is a way to go, to get started immediately and hit the ground running. However, in games, when the creature has no current place in the world, it’s a good idea to grab some elements and get started. What I start to do at this stage is to create slices of the character. I’ll record some source material, and think about some effects or processing I might use on them. In the combination each of these various materials, I’ll create layers that, together, form the identity of the character. By the looks of this concept art, this character seems to have some sort of flesh, but it’s connected by some sort of spider silk connective tissue, that might have a sound identity all of its own. For that reason, some sort of rope tension comes to mind, to envision that it’s difficult for this creature to move. As such, I will leave this one out and focus more on the creature vocalisation. When creating this kind of sound design for video games, all characters will usually need some sort of creature vocalisation. There isn’t much more fun to be had in the studio than creating a new voice. Consequently, creature vocalisations are probably the reason I am interested in sound design for games. This creature has quite a small mouth, but a thick chest, therefore I will use inhalation more than exhalation, and see what ideas I can generate from that. These recordings have the elements I need to formulate the anatomy of the character. This will inform the sound choices I make. These recordings have character. These sounds were recorded through an AKG 414, into the API 1608 pres. Incredibly clean and pretty transparent. Recorded at 24 bit, 96kHz, the samples can also be bent and distorted. I could have recorded tons of ideas for a plethora of different characters in the same family. A giant version of this or a stealthy, fast version of this character would probably come from the same audio samples, chopped and changed in different ways. These sounds are the raw recordings of myself screeching. Somewhere inside every sound designer is a voice artist. There was a certain voice quality that immediately told me I had found it after exploring some permutations. As a result, this is much more in line with the character. The kind of characteristic purring of a creature is something that adds some menace to the beast. There’s also variation, and that’s good. This gives us options when creating the sound for the creature. For the animalistic side of the creature, I used recordings of beetles, wasps and various insects to spice it up a little. Consequently, I brainstorm separate actions, like various attacks the creature might have, and sweeten it with those. 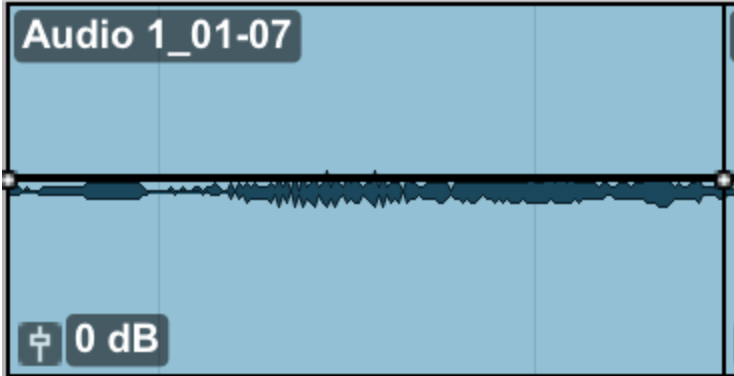 For instance, the SONAR CALL OUT sound needed some work. Hence, a few beetle wings, a cockroach hiss, the tap in the bathroom here at Abbey Road Institute Melbourne and a few violin screeches and it sits nicely. It has turned into more of a “Spotted” sound, which isn’t bad either. This creature is by no means complete, far from it. As such, we generate ideas, and we will slowly solidify the creature. We can create incredible experiences in video games through close collaboration between artists and sound designers. Artist’s visual designs help guide our work, and in turn, the sounds we create can inspire the artistic direction of the creature or character. While working on a new sound, we make sure that the gameplay, the world, the character design and the intensity is right. In the end, we get an incredible result from the merging of good design and great game audio. The games industry is now larger than global film and music combined. 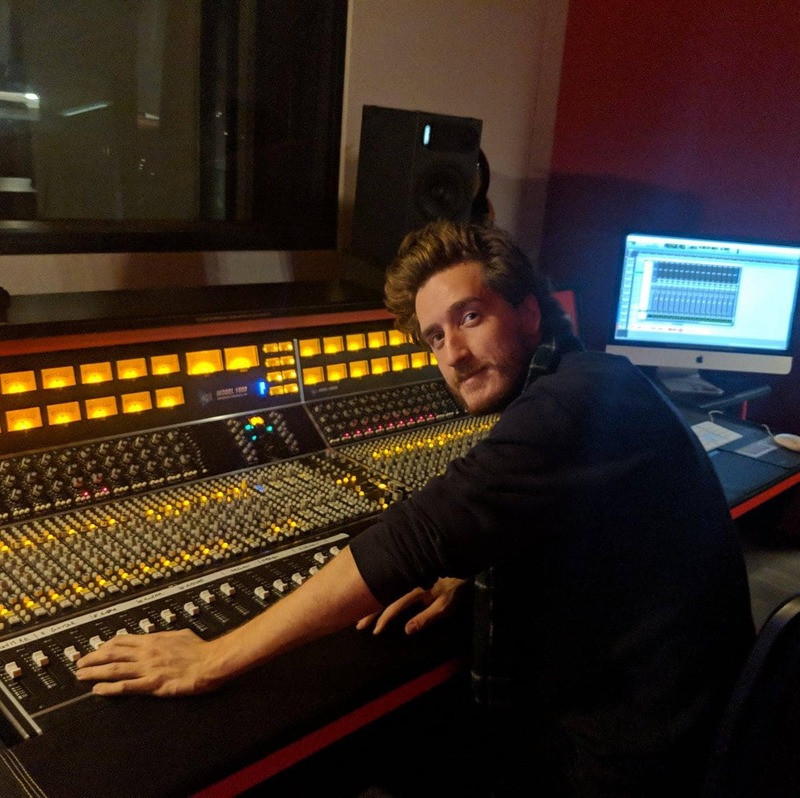 Abbey Road Institute Melbourne offers you the opportunity to expand your horizons beyond the traditional aspects of sound and music production. Join us for a specialist short course designed to introduce you to the fundamentals of producing audio for games and helping you gain a solid working knowledge of the video game production workflow, from the initial concept stage through to final project delivery. At Abbey Road Institute, we value the student experience which is why we keep class sizes small. As a result, we strictly limit places in all of our courses. So to avoid missing out, follow the link below to secure your place!